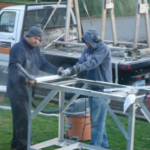 Providing the right solution to our customers is one of our top priorities at Sunset Granite. When damage in the form of cracks or fissures appears on your stone surface, repair might be the best option. If we can save you money by repairing, rather than replacing your stone surface, then we’re happy to do so. 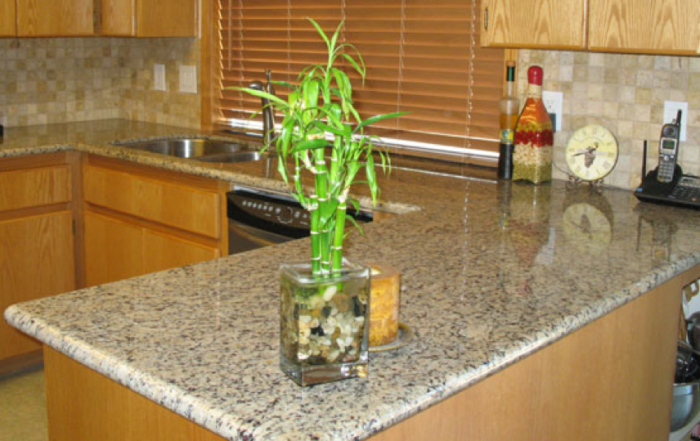 You can trust the professional team at Sunset Granite to offer you the exact service you need, rather than the most expensive one. It’s just one part of our commitment to our customers to be their trusted partner in caring for their countertops, sinks, faucets and more. Defining the differences between cracks and fissures is important as the fixes can vary depending on which it is. Fissures are a part of many different naturally occurring mineral samples. This is a general term referring to a division between crystalline structures within a slab or slice of rock. Sometimes fissures can continue all the way through an entire 2cm or 3cm slab of rock, though this is not often the case. Cracks can appear due to stresses applied to the stone slab during the transportation, fabrication or installation. It is often common that cracks occur all the way through the entire depth of the stone. Cracks can also develop in areas that can be stressing the stone, such as around the sink or where supports meet the underside of the slab. Fissures are inherent features of the particular stone that you are using. Fissures can appear as straight lines, but this is more common with cracks. 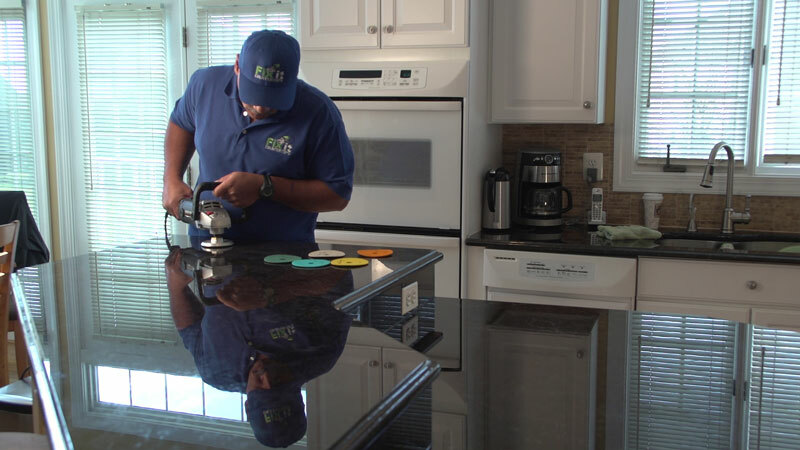 Fissures on commercially installed countertops are thin and narrow. A crack can be more than the thickness of a piece of paper and may be large enough for a coin or something of a similar thickness to fall into. We have a top of the line set of products for chip and fissure repairs. We are happy to come out and give you an idea of how we can help. 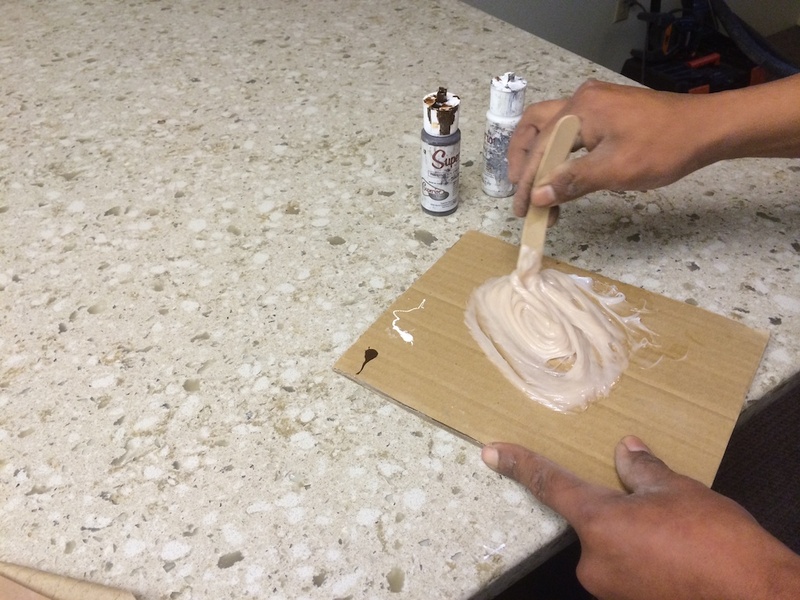 Often the solution requires using an epoxy or resin adhesive to fill the area that is damaged. While there are products that you can use yourself that do work, the challenge is the final appearance. 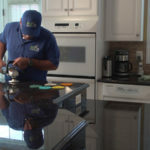 Getting the countertop to have a uniform look when the light hits it or getting it smooth to the touch often requires a professional. This is where we come in. 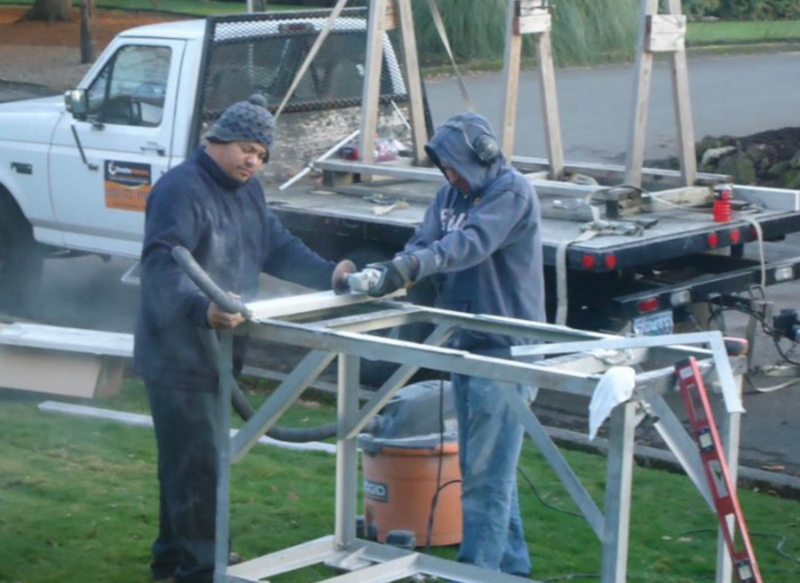 We have the tools to do your project right. Some products are great for filling these areas but don’t do the best job at preventing the crack from spreading further, like the way a car windshield crack will spread over time. Cracks can continue to grow over time if not taken care of properly. 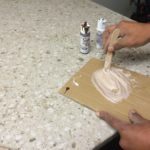 There are other products that are designed for adhesion to rough surfaces and the material that gets on the smooth surface around the crack is easy to wipe up. 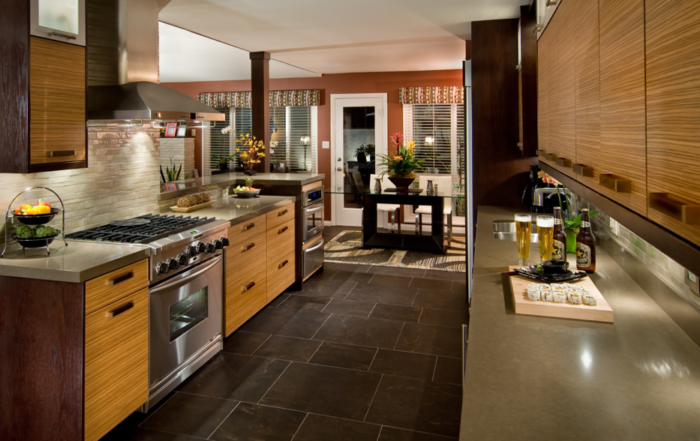 Give us a call today or fill out our contact form for us to reach out to you and help you to get your stone countertop or other surface back to working order so you can enjoy the beauty of the space that you live or work in.